The Department of Chemical Engineering at Imperial College London (UK) has elected to use a FLIR Systems X6540sc thermal imaging camera to conduct innovative heat transfer experiments on thin-film flows. Studying heat transfer in thin-film flows is the key to enable the accurate prediction of complex hydrodynamic processes, crucial for the design of many engineering systems that rely on these flows. Research within the Clean Energy Processes group at the Chemical Engineering Department of Imperial College London is aimed at the development and employment of new imaging techniques for conducting simultaneous spatiotemporal measurements of thickness, velocity, temperature and heat flux in thin-film flows. Apart from the purely theoretical interest, the high surface-to-volume ratio and small heat and mass transfer resistances of thin films at relatively small flow rates renders them instrumental in the development of efficient means of heat and mass transfer. Consequently, thin-film flows are employed in a wide variety of engineering/technological applications, such as evaporators, exchangers, absorbers, micro-reactors, thermal management/human support systems in space applications, small-scale electronics-microprocessor cooling schemes, air conditioning and gas turbine blade cooling. Dr Alexandros Charogiannis, a Postdoctoral Research Associate working under the supervision of Dr Christos Markides, commented "Being able to conduct high resolution (640 x 512 pixel) IR thermography measurements at high frame rates (100 Hz) using the FLIR X6540sc camera will allow us to gain an unprecedented insight into the flow dynamics of a great range of flow regimes of gravity-driven thin film flows, gas-/shear-driven horizontal film flows and Marangoni flows". He added "Before purchasing the FLIR camera we had to rely on camera loans from the EPSRC Engineering Equipment Pool (EPI) which were dependent on availability. During our evaluation process to select our own thermal imaging camera we looked into 12 different camera options from FLIR and other companies. The excellent results from the demonstration of the X6540sc on our own thin film set-up coupled with FLIR's strong applications support convinced us that this camera was the optimum component to supplement our experimental setup**". The X6540sc thermal imaging camera from FLIR Systems provides ultra-fast frame-rate acquisition for scientific and research applications involving dynamic thermal events. 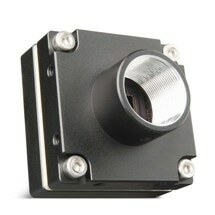 The device features a 640 × 512 digital InSb detector with spectral sensitivity from 1.5 to 5.5 µm and a f/3 aperture. 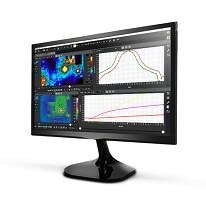 It provides images up to 125 Hz in full frame and up to 4011 Hz in a 64 × 8 subwindowing mode. Features on this research grade camera include high thermal sensitivity, snapshot imagery, a motorised spectral filter wheel and a detachable touch-screen LCD. The camera connects to the company’s ResearchIR Max R&D software for thermal imaging data acquisition, analysis and reporting. The X6540sc can be temperature-calibrated up to 300 °C, or up to 3000 °C with spectral and/or neutral density filters, and it provides measurement accuracy of ±1 °C for standard configurations. Pioneers in all aspects of infrared technology, FLIR designs, manufactures, and supports thermal imaging systems and subsystems for industrial, scientific, governmental, commercial, and fire fighting applications. With a 40-year history of infrared innovation, over 100,000 systems in use worldwide, and development centres and sales offices in over 60 countries, FLIR is the world leader in thermal imaging technology. ** The thin-film flow setup developed by the Department of Chemical Engineering at Imperial College London is comprised of an inclined, thin heated solid substrate over which a thin film flow (water/ethanol or water/glycerol mixtures) develops. The FLIR X6540sc thermal imaging camera will be installed on top of the flow; due to the high absorptivity of the selected fluids in the IR, the camera will be able to measure the temperature of a very thin (10 -15 micron) layer at the liquid-air interface, which in conjunction with LIF temperature measurement at the liquid/solid boundary and film thickness measurements will allow researchers to quantify instantaneous unsteady heat transfer coefficients over a wide range of flow regimes.